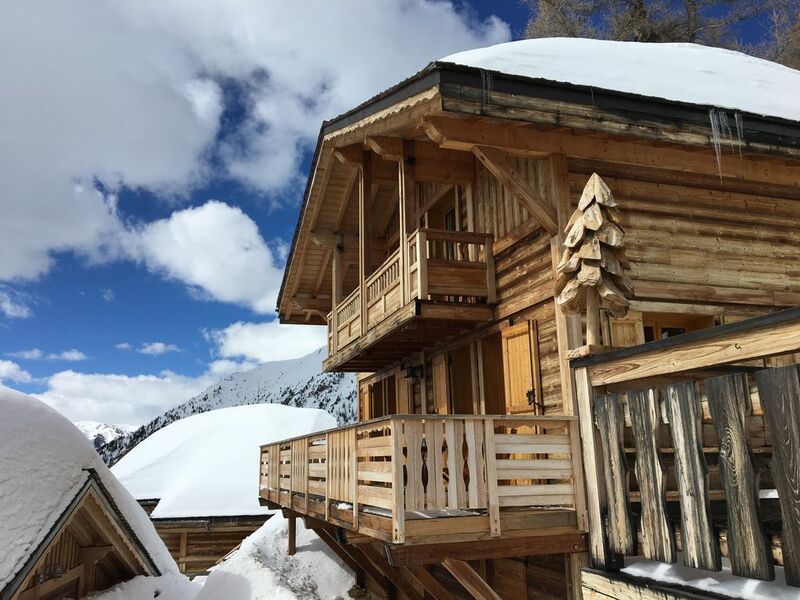 The chalet is furnished to a high standard, with just a few minutes walk to the slopes. The chalet has a total of 4 bedrooms, 1 bathroom, 2 shower rooms and 4 WCs. On the ground floor there is an open plan lounge, diner/kitchen with a log fire, TV and surround sound. There is a large terrace and a small balcony off the two south facing bedrooms. Transfer from Nice airport takes approximately one and a half hours. Isola 2000 always has beautifully prepared piste and a brilliant snow record. Virtually no queues so more time for ski-ing. The views from the chalet are stunning and the south facing terrace provides excellent sun bathing. toilet, This toilet is located on the lower ground floor. Main kitchen with full facilities plus a small kitchen in the basement. Parfait pour notre famille de 5 personnes. Nous aurions pu être beaucoup plus nombreux. Chalet confortable et propre a Notre arrivée. Beaucoup de marches à monter pour arriver au chalet tout en haut. Fabulous ski resort suitable for beginners, intermediate and advanced skiers. Boarders park, with half pipe and jumps plus race track. Not a well known resort therefore hardly any queues at the lifts, in fact quite often, mid week, you will be the only ones on the slopes. There is a great choice of restaurants and not as expensive as some more well known resorts. Very close to Nice and Monaco so extend your visit by having a few days in these fabulous cities. Transfer time from Nice airport to the resort is approximately 90 mins. No need to hire a car or taxi as there is a bus service from Nice to Isola 2000 about three times a day at a cost of 5 euros per person. Downpayment / Deposit requested. Security deposit requested. Discount depending on length of stay. Owner not present on location. You can contact me via email on grazmartin@live.co.uk or mobile telephone (+ 44) (0) 7887898331 There are a number of steps to the chalet, it is therefore not suitable for the elderly or disabled.